Is Economic Recovery Beginning in Ann Arbor? In an article published in the Annarbor.com Business Review, according to University of Michigan economists George Fulton and Don Grimes, the Ann Arbor area will be adding more than 8000 new jobs in multiple sectors over the next 3 years. They estimated that Washtenaw County added over 4000 jobs in 2010 after 4 consecutive years of job losses, supporting a slow, but steady economic recovery. The unemployment rate in Washtenaw County is expected to decline to 6.7% by 2013 from an average of 8.6% in 2010. Many small businesses are beginning to hire, but still remain very cautious. While we are far from a full recovery, these are steps in the right direction for the Ann Arbor area. You can view the full report here: The Economic Outlook for Washtenaw County in 2011-13. We are beginning to see recovery in the Ann Arbor real estate market as prices begin to stabilize and even increase a bit under $400k. Spring is right around the corner, housing inventory remains low, and mortgage interest rates are at historic levels making this a great time to sell your home. To learn more about what’s happening with prices and inventory in your specific Washtenaw County neighborhood, visit our Subdivision Hotline or contact us today at 734-761-3060 or info@bouma.com. 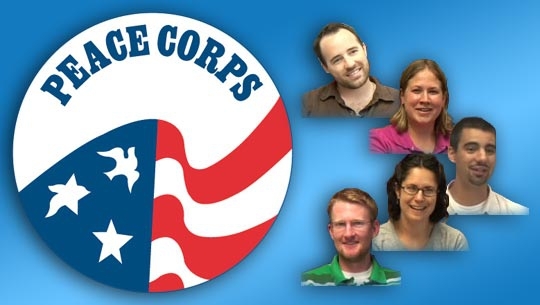 This month marks the 50th anniversary of the founding of the Peace Corps, which occurred right here in Ann Arbor. After hearing a late night campaign speech by Senator John F. Kennedy on the steps of the Michigan Union on October 14, 1960, University of Michigan students began a grassroots efforts, leading to the creation of the organization envisioned by Kennedy in his call to service. The celebration will continue with events in Ann Arbor and around the country throughout 2011.